In 2011, Fahrni was asked to participate in a special project to raise funds for Columbia Valley Arts. 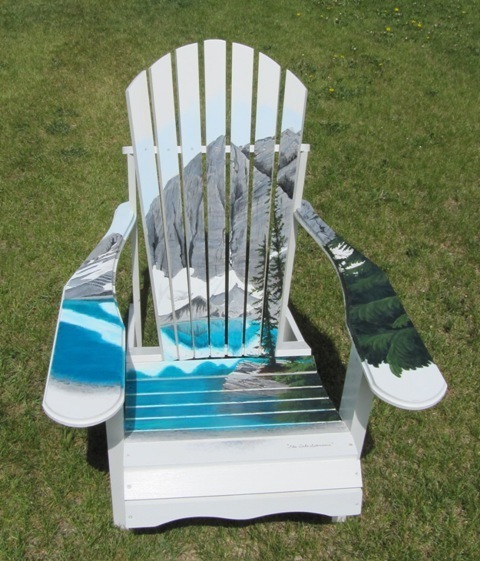 The project involved donating her time and skill to assembling and painting an adirondack chair which was then auctioned off during the Tour of the Arts. It turned out to be both a challenging and rewarding experience which she wrote about on her blog which can be found at http://susanfahrni.blogspot.com . Entitled "Floe Lake Splendour", she is pleased to say that it garnered the largest bid and now resides in Trethaway Beach, Windermere, BC.